Is digital part of your automotive marketing strategy? Online Marketing Manager Erdal Enver explores the importance of digital marketing to the automotive industry. With so many people looking for vehicles, parts and accessories online it is vital to ensure your online presence is as much of a priority as your shop front. In our experience working with the automotive industry, we have found that many brands are unsure of where to start and what to prioritise. So how do you decide which route to take, what to do first and how to successfully implement your online strategy? Here are two top questions to ask yourself to help you on your way. Question 1: Is your website fit for purpose? Is your website in line with the current trends? Does it reflect your business and meet the changing needs of your customers? It is not enough to simply have a website; it must perform well. A prospect client will make quick judgement about your business within the first few moments of visiting your website just as they would when visiting your store. 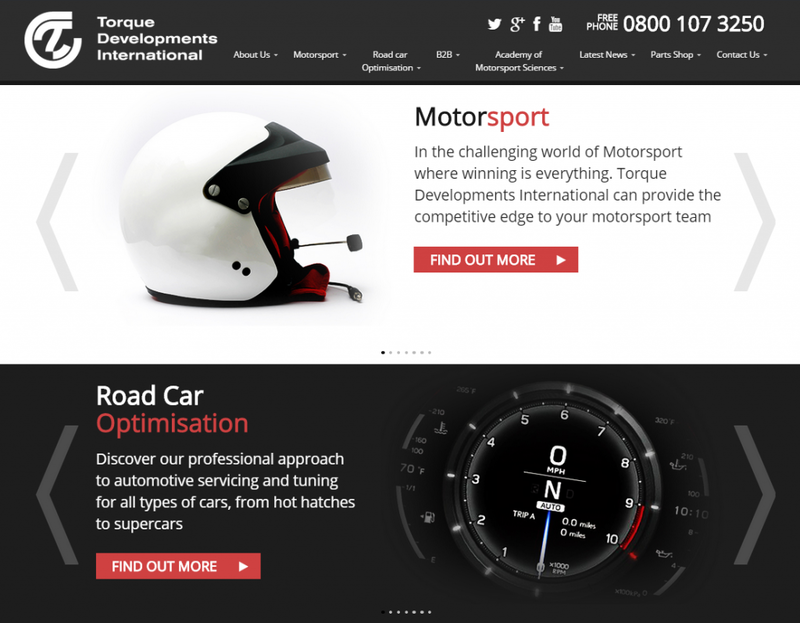 One of our clients, Torque Developments International (TDI plc), the UK’s flagship service provider to the high performance automotive industry, approached us to produce an industry-leading website that reflected the company’s position. Their previous website had an array of issues, including a dated design, unresponsiveness to mobile and a lack of search engine optimisation. To make things worse, the platform the website was built on meant they were not able to make changes to the website without going through the development team. Bravr created a user friendly website built on a robust technology platform allowing TDI plc to have full control of content on the website. Our highly visual solution mirrored the company’s offline presence, promoting its technical prowess, innovation and commitment to excellence within the automotive sector. In addition, we combined a beautiful design with our technical SEO techniques to ensure the new website appears prominently on key search phrases related to their business. Since launching the website, the website has ranked higher in search engines, causing a significant increase in traffic. The fresh design and ease of use of the website have contributed to an increase in web conversions (leads) and sales. Question 2: Are you visible online? 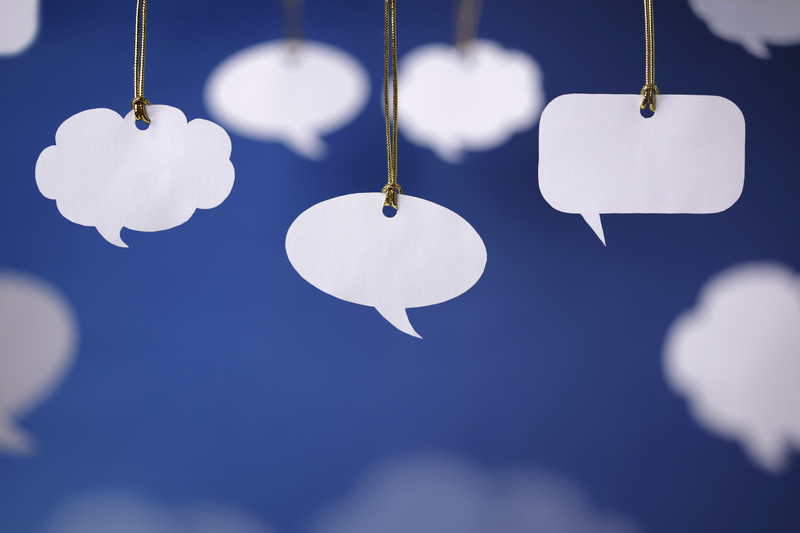 Are prospect customers finding you or are you a hidden gem waiting to be identified? Most business think they know what keywords a potential customer would associate with their brand. However, very few fully understand the variety of keywords that customers use. Without fully understanding your keyword universe you will not realise your company’s potential online. Bravr’s digital marketing offering has been designed to increase your online visibility. We begin with a thorough analysis of your business and the keywords most relevant to the business. The Bravr team have a real key advantage over other marketing agencies when it comes to identifying and providing a clear online strategy for the automotive industry. Not only do we have 20+ years’ experience with the automotive industry, myself and the CEO (Shahin Fard) are born and bred car enthusiasts. This enables us to get stuck in straight away and can deliver a detailed marketing plan in a short period of time that is orchestrated around the identified keywords. 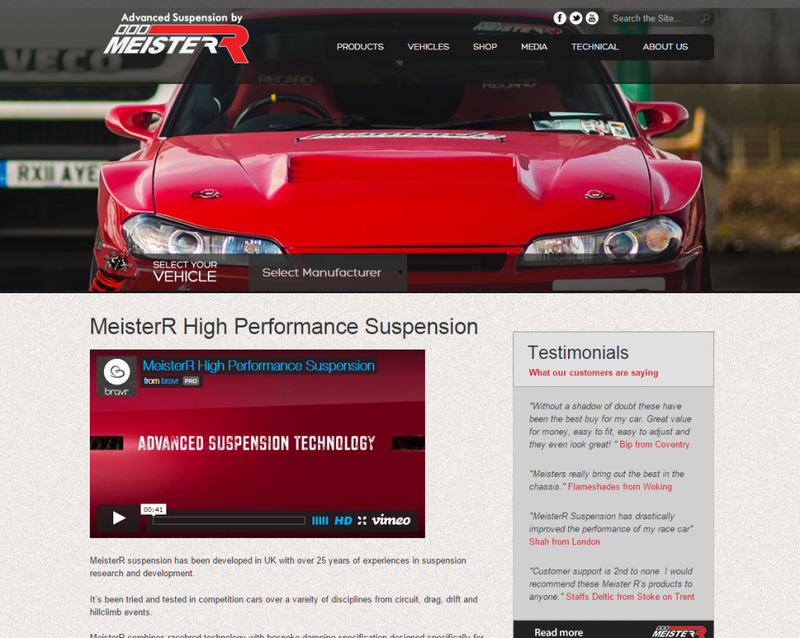 MeisterR, leaders in providing high performance suspension, wanted to increase leads and sales of their products. We gave MeisterR.co.uk a complete interface redesign and incorporated our automotive knowledge and research. All product listings were updated and new optimised landing pages were built to target key search terms. This approach has received positive feedback from MeisterR advocates, and already resulted in an increase in traffic and sales. By now you may have a better understanding as to why digital should be high on your list for 2015. You may wish to benefit from one of our benchmarking service provision, which shows you where you are in the market, how you compare to competitors and how to grow your business online. Our experts are at hand to put together a bullet proof marketing roadmap for 2015; contact us today.